Ethel is originally from Costa Rica but has lived in Hawaii for a long time. She completed her undergraduate work at the Universidad de Costa Rica and later went on to obtain her Ph.D. in biology from UCLA. 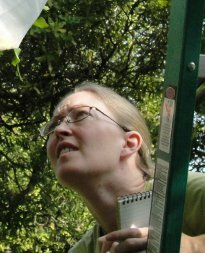 Her dissertation thesis 'Reproductive strategies in solitary Hymenoptera: plasticity in mating and nesting behaviors' focused on reproductive behavior on two species of leaf cutter bees and one species of tropical sandwasp. Ethel is directly responsible for the research involving varroa treatments, mite-bee interactions (mite reproductive potential), and colony health assessment, including hygienic behavior. Ethel is also interested in the development of outreach programs for farmers in need of pollination services. 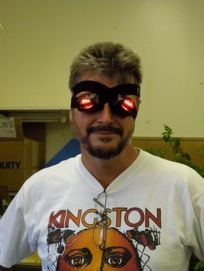 Mark is originally from South Africa where he obtained his Ph.D. in Zoology/Entomology. Mark moved to the US and conducted research at Cornell University where he worked on augmentative biological control of Ostrinia nubilalis using Trichogramma. Mark's current research program at UH involves the development of IPM strategies for a number of crop species including pineapple, papaya, coffee, banana, and macadamia nuts. His main research interests include biological control and risk assessment. He manages the bee project and converses with the media. Mark is involved with the baiting and containment strategies to reduce varroa spread and the supervision of the Big Island crew. He is also interested in testing alternative biocontrol methods against varroa including fungal treatments and pseudoscorpions. Mark and Ethel are beginning to screen for hygienic behavior in honeybees in Oahu and they hope to expand this survey to other islands soon. Scott obtained a B.A. in Psychology (2002) and a B.A. in Zoology (2006) from the University of Hawaii at Manoa. He became an integral part of Dr. Couvillon's lab at the Bekesy Laboratory of Neurobiology where he assisted researchers in a variety of learning experiments on honeybees, pigeons, and crayfish. With the arrival of the varroa mite to the islands, Scott's laboratory duties included mite sampling and organic management techniques to combat mite infestations at the Bekesy lab. 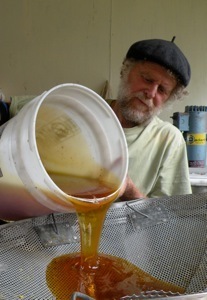 Presently Scott is in charge of our apiary at the Waimanalo Research Station, he is most interested in the screening for hygienic behavior and the testing of thymol as a possible control method for varroa. Scott is also involved with outreach and education programs, including science fair projects. Tyler obtained a B.S. degree from the University of Hawaii (Plant and Environmental Protection Sciences) in 2008, and has since decided to continue to work towards his M.Sc. in the field of entomology. Tyler's thesis deals with a variety of aspects of varroa-bee interactions, including management options, bee baiting for varroa suppression, and bee foraging behavior. 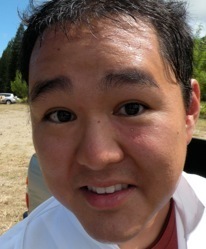 Tyler is currently testing the efficacy of drone comb removal as a control method for Hawaii. Jane achieved a B.S. 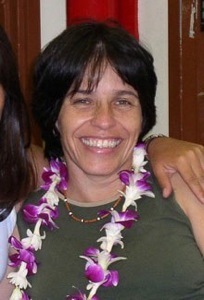 in Plant and Environmental Protection Sciences from the University of Hawaii at Manoa in 2009. She joined the Honeybee / Varroa Project in the fall of 2009 and is currently working on her masters degree in entomology. Her thesis involves pollination studies of Avocado, Coffee, Lychee, and Macadamia in order to determine necessary hive quantity for adequate pollination for these crops. 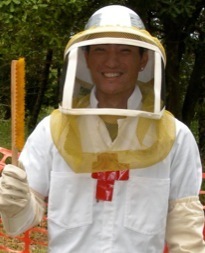 Beekeeper with many years experience. Our principal source of advice on the practicalities of beekeeping.